The Scottish government argues that it took a “careful and considered approach” while coming to the decision, with “detailed assessment of evidence”. Energy Minister Paul Wheelhouse told MSPs last year that this moratorium, enforced via planning powers, would continue “indefinitely” after consultations showed “overwhelming” opposition to fracking from the public. Labour and the Greens called for the ban to be put down in legislation, but Mr Wheelhouse insisted that the existing method was “sufficiently robust”, and ultimately only Conservative MSPs voted against the move. Ineos, which operates the industrial processing plant in Grangemouth and which holds fracking exploration licences across 700 square miles of the country, said the government’s decision was “a major blow to Scottish science and the engineering industry”. Ineos Shale Operations Manager Tom Pickering said the group had “no option” but to raise a legal challenge alongside business partner Reach. “Ineos, Reach and other operators have invested significantly in unconventional development over the years, against a supportive regulatory and planning backdrop. Why frack when you can send your hard-earned money to the US or Russia? Translated for politicians – we can go elsewhere. Not soon but gradually and when we leave there will be a lot of people out of work, and all of them will get a “Sorry you have to go, but it is all the fault of the Scottish Government”. 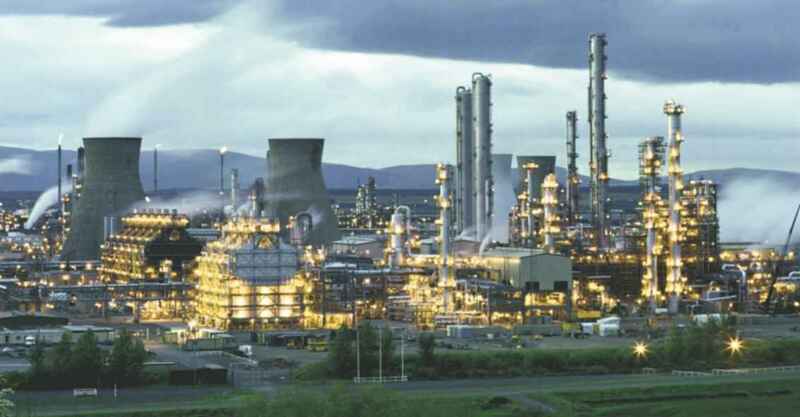 Ineos at Grangemouth has been ‘on the edge’ before. Cuadrilla’s controversial bid to frack for shale gas in Lancashire has struck a rare gush of good luck after tests unearthed “excellent” conditions for fracking. Following the test results, Cuadrilla boss Francis Egan said he was “confident that there is a very sizeable quantity of natural gas in the Bowland Shale”. “In addition we can confirm that the rock composition is very suitable to hydraulically fracture. This give us great confidence as we start drilling what will be the first horizontal well drilled into UK shale rock,” he said. Tom Pickering says that if Scotland wants to continue to be considered as a serious place to do business, then it cannot simply remove the policy support that attracted that investment in the first place without proper procedures being followed and without the offer of appropriate financial compensation. Although energy policy is reserved to Westminster, their control over the planning system means they can block any application to frack. Paul Wheelhouse, the SNP Energy Minister, sought to justify the ban by arguing the move had overwhelming public support, fracking would add only 0.1 per cent to Scotland’s GDP and it would be concentrated around densely populated areas in central Scotland.